West Ham look set for another season of mediocrity if performances do not improve, with the Hammers losing six of their opening 12 matches. 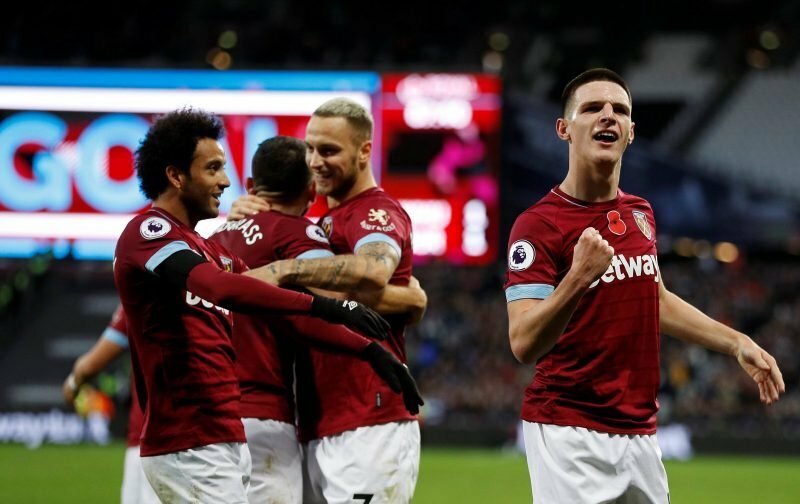 Some positive signs have been shown under the guidance of Manuel Pellegrini, who splashed over £100m on new recruits during the summer, one of which has been the continued fine performances of Declan Rice. The 19-year-old academy graduate has firmly established himself as a fan favourite and one of the first names on the team sheet at the London Stadium, although his future remains shrouded in uncertainty. West Ham are reluctant to meet the teenager’s demands and, as a result, an agreement on a new deal is yet to be secured – which has led rival clubs to start to express an interest in Rice’s services. London rivals Tottenham Hotspur are amongst the parties reportedly keen on Rice and the latest reports suggest Mauricio Pochettino’s side have already initiated contact with the teenager, which has led fans to react on social media. @davidgold @karren_brady @jsullivanwhu I don't think you lot understand what's going to happen…. if this kid isn't given proper contract…. Martin Peters moment all over again.